Ghosts, ghouls and things that go bump in the night … Halloween, (Hallows Eve) is a yearly event which is celebrated every 31st of October. It’s traditionally the night when we remember the dead, and for most, fear them coming back from the grave. It’s also the night spirits are said to walk amongst the living, and why we traditionally use humour and ridicule to overcome our fear of death. Now that you have a shiver creeping down your spine … as a special Halloween treat, I’ve invited a group of great authors to share some of their spooky stories with you. 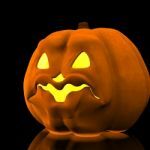 First up, three authors recommend their favourite Halloween reads, whilst fourteen others, have been kind enough to donate either a tasty titbit or a short story for you to read for free. When Lynette asked me to pick a few good books to read for Halloween, I decided to restrict myself to three, which then proved more difficult than I originally thought. I didn’t realize how many books filled with demented characters I liked. After much inner debate, however, I narrowed the list to five, then finally these three–two lesser known works by Stephen King and one classic. Thinner is an 80’s book written by Stephen King under the pseudonym Richard Bachman. As my friend the horror writer Terry West says, the Bachman books are leaner and meaner versions of King’s writing. In a nutshell, Billy Halleck, while driving across town, accidentally hits and kills an old gypsy woman. With the help of his judge/friend, he is acquitted of vehicular manslaughter, thus literally getting away with murder. Or does he? As he’s leaving court, the old woman’s father strokes Billy’s cheek and mutters, “Thinner.” What happens next is vintage King as Billy slowly begins to lose weight. At first he likes trimming down. Then he doesn’t as he can’t control the weight loss, and eventually he enlists the help of a mob figure to help break the curse. I won’t give anymore away except to say that even Disney couldn’t squeeze a happy ending out of this lean and mean piece. Who says King can’t write a happy ending? The Girl Who Loved Tom Gordon is a quick read which I would argue is King’s contribution to YA fiction. While on a hike with her mother and brother, Trisha McFarland wanders off the trail and gets lost in the wilderness of western Maine. Armed only with her Walkman–remember them?–on which she can listen to the Boston Red Sox and her favourite player, Tom Gordon, Trisha finds herself in a fight for survival. From unseen beasts that go thump in the night to thirst, insects and even a close encounter of the bear kind, this poor child goes through so much you’re tempted to report the author to child protection services. In the end, this book is as much a psychological thriller as anything. I loved it. When most people hear the name Henry James, they run away screaming. Yes his writing is verbose. Yes it can be challenging. And yes he wrote one of the most brilliant ghost stories of all times, The Turn of the Screw. In this tale, an unnamed governess takes a job tending a precocious young brother and sister who have been sent to live with their enigmatic uncle. The uncle, who resides in the city, instructs the governess to deal with the children herself and not to bother him. Almost immediately the governess–our unreliable narrator, to say the least–sees an apparition and determines it is that of the former governess, who died under mysterious conditions, and that she has come back for the children. James is at his best when writing about the human psyche, and The Turn of the Screw is leaner and meaner Henry James and well worth the time and effort. Read it, then read it again. I have. Thanks again, Lynette, this was a fun piece to mull over and write. And to you, my dear reader, I say spend the night with a good spine-tingling tale. Sleep’s overrated, anyway. By day Tim Hemlin is a high school counsellor. At night he writes poetry, mysteries, dystopian science fiction and young adult fantasy. He lives near Houston, Texas with is wife, Valerie, two dogs and one very obnoxious cat. We tend to think Halloween is something that happens on earth because we are conditioned to believe that vampires, ghouls, ghosts, phantoms and zombies walk on earth. But those of us, who also read science fiction, know better, don’t we? Devils don’t come from beneath us, not always anyway, they also come from the sky. And you’ll get into a whole lot more trouble if you travel beyond the skies. And that’s exactly what happened to one utility guy in After Effects, a short story by Jon McGoran. After Effects is a haunting 46-page read I would recommend for this creepy festival. A word of advice: Make sure you’ve got someone beside you while you read. The protagonist is sent to repair communications on a remote space outpost. It was supposed to be a routine assignment. But then, he discovers that it’s not only circuitry that is damaged: The population has dwindled with the remaining inhabitants gone rabidly mad. This character-driven story wells up eerily as the utility man performs the repair work in solitude. I hate that feeling when no one’s got your back. But I love the thrill of reading about it or watching others in an unpredictable situation. That’s why I think After Effects is a must read. I found myself gorging the pages of this chilling tale in a frenzied manner! The horror! Khaled Talib is a former journalist with local and international exposure. He has worked full time for magazines and his articles have been published and syndicated to newspapers worldwide. His short stories have appeared in literary journals and magazines. The author is a member of the Crime Writers Association. He resides in Singapore. This is a very well-written story with a unique take on vampire life. It starts with the vivid sights, sounds, and scents of New Orleans in 1900. Sebastian Blood is a handsome young pianist with reasonable talent and unreasonable charisma. He marries Malahti, the love of his life, and becomes a famous movie star. Life is perfect. How does it change, and when? How does Sebastian adapt to horrendous loss and a shattering transformation no one could expect? The story has love, adventure, mystery, and built-in suspense; the characters are memorable. Well-researched details make the story believable and plot twists keep it entertaining. Prince of the Blood is a page-turner! J.S. Burke is the author of The Dragon Dreamer series, a young adult science fantasy with flying dragons, a detailed undersea world, and unexpected friendship. She also has six published marine science research papers. She tosses coloured lightning with her dragons and grows pearls beneath the waves with her shape-shifters. She lives in Georgia with her family and rescue pets. Below are fourteen spooky stories written especially for Halloween. Please enjoy, and if you do, leave a comment on the author’s website so that they know you dropped by. Don’t forget, if you would like to learn more about any of these authors, you’ll find details on Facebook or Twitter. Thanks everyone for sharing your stories. Lots of talent. I enjoyed every story! This is a terrific event, Lynette!